Posted on Wed, Nov 2, 2011 : 11:02 a.m.
Michigan redshirt freshman linebacker Jake Ryan (90) grabs Purdue quarterback Robert Marve by the facemask during a 36-14 win last weekend. He's a Michigan linebacker who prefers war documentaries to ESPN. Jake Ryan also hasn't cut his long, blond locks in almost a year-and-half, inspiring several veteran teammates to begin following his lead. Ryan Van Bergen's even named his mop "Flow" — not "The Flow," just Flow, he says — and Mike Martin picks out his hair before big games. Ryan, by the way, is just a redshirt freshman. And, quirky as he might be, the Michigan football team quickly has taken to his unconventional style — off, as well as on, the field. "My boy Jake can be — what’s the right word? — he makes plays maybe unorthodox, sometimes," coach Brady Hoke said. That tidily sums up Ryan's young career at Michigan. The redshirt freshman linebacker from Westlake, Ohio, generated a buzz by playing well in the spring, but was expected to be slotted behind sophomore Cam Gordon this season at strong-side linebacker. When Gordon suffered a back injury, however, Ryan was thrust into the spotlight. Ryan started the opener against Western Michigan, and deflected a pass that was intercepted and returned for a touchdown. He hasn't looked back since. He has 19 tackles, but his real impact has been in making big plays. He is second on the team with five tackles for loss, has one sack and recovered two fumbles. In last week's 36-14 win against Purdue, Ryan had a pivotal tackle for loss on which he knifed by his man and tripped up the rusher with one arm. It led to a goal-line stand. Michigan will need Ryan to continue to make plays as it hits the road to play Iowa at noon Saturday on ESPN. The Hawkeyes (5-3, 2-2) are rushing the ball well — tailback Marcus Coker had 252 yards last week against Minnesota — and are unbeaten this year at home. Ryan's biggest mistakes have come in the running game, where he has had some struggles holding containment. He's shown improvement, though, as have middle linebacker Kenny Demens and new weak-side linebacker Desmond Morgan, a true freshman. Defensive coordinator Greg Mattison said that comes from picking up cues from the offense and anticipating what it will do, which helps to eliminate "false steps." Come back to AnnArbor.com at noon Thursday for a live chat with Kyle Meinke. He'll recap the Wolverines' win over Purdue, discuss news that emerged this week and preview the game against Iowa on Saturday. "I wasn’t very pleased at all early," Mattison said of the linebackers in general. "I was really, really upset with them. ... When you’re a young, inexperienced guy, you have to be totally locked into your (cues)." Michigan has two inexperienced linebackers in Ryan and Morgan, which could become a concern as the No. 13 Wolverines (7-1, 3-1) make a push for the Legends Division title. Mattison, though, said the linebackers made a big jump during the off week two weeks ago, and that carried over into the Purdue week. Michigan held Purdue to 89 rushing yards because of the freshmen linebackers, not despite them. Morgan led the team with nine tackles and showed good instincts. Ryan, meanwhile, excelled while not always being in the right spot, or making the right read. He's only a freshman, after all. He doesn't even really look like a prototypical linebacker, despite being 6-foot-3, 230 pounds. 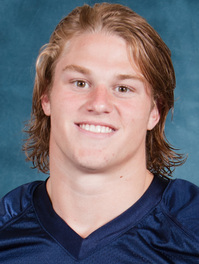 "You don’t really look at Jake Ryan and think, ‘Wow, he’s an intimidating linebacker,'" Van Bergen said. "There’s certain guys you would say that about, but he’s not one. "He’s also not someone you look at and say, ‘Wow, he might be one of the faster guys on the defense,’ and that’s also the case. He’s unbelievably fast and quick." Does Ryan use that perception as motivation? "Yeah, it’s always a motivation that people say that," Ryan said. "But, God blessed me with these gifts, and I’m just using them to the best of my ability." Ryan has used his athleticism, as well as his instincts, to become one of Michigan's biggest surprises of the season. He's turning out to be a playmaker largely because of his high motor and habit for being in the right place at the right time. "His nose for the football is unbelievable," Van Bergen said. "Sometimes, he’s not in the right spot, but because he’s going 100 mph ... he just goes flying by safeties trying to make plays. "If you’re going to make a mistake, make it going 1,000 mph, and that’s what Jake does, and that’s why you see so many plays where he’s disrupting something." Ryan might be a little unorthodox, but Michigan won't mind as long as he continues to make plays. Thu, Nov 3, 2011 : 6:13 a.m.
Thu, Nov 3, 2011 : 5:16 a.m. I love the way Ryan plays, fast and fearless. No substitute for speed. Imagine how much better he'll get with each years growth in size and experience. He put on 10 lbs. last year and could add another 10 lbs. this year. Wed, Nov 2, 2011 : 9 p.m.
Aren't journalist supposed to know how to spell? Mane man! Does that mean he has a very hairy neck? Thu, Nov 3, 2011 : 9:44 a.m. Wed, Nov 2, 2011 : 9:39 p.m. Wed, Nov 2, 2011 : 8:03 p.m. I like this kid. A Cleveland area kid that played at St Ignatious. He seems to play for the 'love of the game, which is refreshing, and it seems to be contagious. Put him in a 'pressure cooker' with the demand for excellence coming from Hoke &amp; Mattison, and we have the 'critcal mass' necessary to generate a strong four year player. This kid of thing can spread through the team. It makes for an aggressive, but 'fun' atmospehere, on D. We are starting to see the Michigan, thirst for excellence, and stout defences, that were a trademark during the Bo years, returning. Ryan reminds me a bit of Steve Everitt who played center here several years back. They both 'were a few cards short of a full deck', but they each will give you 110% . Gotta love it. Throw some other 'high energy' kids into the mix, like Martin, and Kovachs, and we'll get a benchmark to build on, in future years. Wed, Nov 2, 2011 : 9:38 p.m.
Amen ... and success leads to success ... other kids with those attributes are going to be drawn to Michigan when they see a defense that plays at a high level *and* seems to have fun doing it. Wed, Nov 2, 2011 : 7:52 p.m. Wed, Nov 2, 2011 : 9:37 p.m.
That picture is pretty old ... at least from the spring, if not earlier. I do recall that very picture back in the spring when his name came to the forefront. I am quite certain the use of the word &quot;mane&quot; is deliberate. Wed, Nov 2, 2011 : 8:05 p.m. True, but he runs like a horse. Wed, Nov 2, 2011 : 6:41 p.m. I love the energy and frantic play that Ryan has brought to our Defense. The young man makes plays, that's all there is to it. He's only gonna get better and the Defense is going to be a constant strength on the team going forward. Can you imagine how good the 2013 Defense will be, with the recruits coming in and guys like Ryan, Countess, Gordon, Morgan, Clark, Black, Beyer and Avery being seasoned veterans by that point? Not to mention it will be year 3 of the Hoke and staff era. Gardner will be a senior that year. The 2012 class will either be Sophomores or RS FR's. I think we will be really good next year despite a brutal schedule, but from 2013 and beyond everybody better look out! Wed, Nov 2, 2011 : 5:32 p.m. I love these stories about players who break from the pack and play with enthusiasm and contained abandon. Also love the coach's commentary ... I get the sense that this is the epitome of &quot;tough love&quot; going on here -- Mattison riding these players hard and the players, knowing that Mattison really does have their best interest at heart, respond by giving back everything they have. I said early and often ... given the nature of Hoke and his staff and their attitude towards the players, these young men will walk through walls if told to do so. Also ... Kyle ... your columns are quickly becoming &quot;must reads&quot; ... this is great stuff. Wed, Nov 2, 2011 : 4:54 p.m.
Would've liked to have read a paragraph or so on his interest in war documentaries and how he generated interest in them. Wed, Nov 2, 2011 : 4:04 p.m. There's this one guy that I know and he said that Jake Ryan will win the heisman next year. Trust me, this guy knows what he's talking about...he sells zippo lighters at the flea market. MEEEEEEEEEEEEEEEANchigan football is again on the rise!! My boy Jake Ryan is a heisman suprise!! !